As a breed, the Staffordshire bull terrier is known for being a stocky, strong and muscular dog. Staffies are generally considered to be very healthy dogs overall and rather robust. 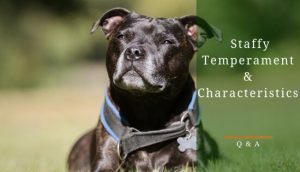 However, as with most breeds, there are a few hereditary and common problems staffies can develop. 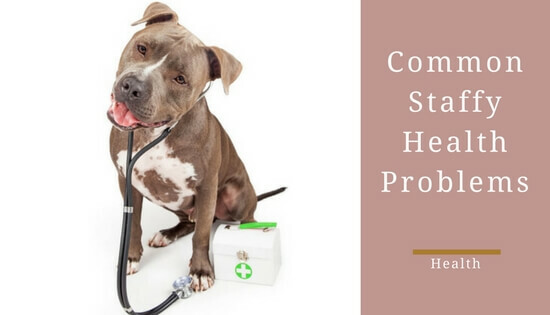 It’s important to be aware of the common health issues among your dog’s breed, whether you already own a staffy or are considering getting one. 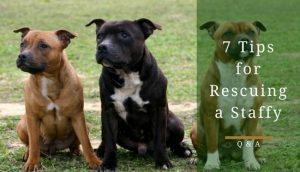 Fortunately for staffies, the list of hereditary issues is quite a small one and there aren’t many common problems that affect the breed. This article will highlight the potential concerns and give you some tips on how you can minimise the risk of your dog encountering them. Canine hip dysplasia or “CHD” is a joint issue that affects the mechanics of the dog’s hip joint. The problem occurs from a malformation of the ball at the top of the dog’s leg and the socket of the hip itself. This means the ball and socket of the joint don’t align properly, which can cause rubbing and grinding inside the joint. Over time, the constant grinding and rubbing in the joint is likely to lead loss of function as the joint deteriorates. The symptoms below may not be constant and might only show up from time to time but can still be a sign of hip dysplasia. The early stages of your dogs life has a huge impact on its’ ability to grow with a strong and healthy bone structure. High impact activities and injuries could impair their natural growth. Therefore, keeping a puppy away from heavy, high-impact exercise during their first year is recommended. Leaping, landing from heights, standing up on their rear legs and jumping up to people should be kept to a minimum. 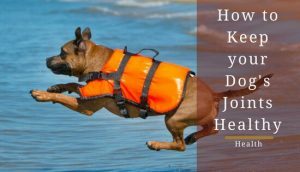 Other measures you can take to reduce the risks of developing hip dysplasia as the dog grows is to ensure a healthy diet. 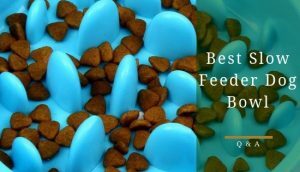 Eating the right type of foods will provide you dog with the necessary vitamins and minerals for keeping joints supple and strong. A good diet also prevents your dog from becoming overweight, which would put extra stress on the joints. 8% of all Staffordshire bull terriers carry the gene responsible for hereditary cataracts. A puppy is born with cataracts when both parents carry the gene. Unfortunately, the condition cannot be seen from birth but usually manifests around 8 weeks later. It is a progressive disorder so, if cataracts do not get treated, the dog will usually go blind within the next 2-4 years. Signs of poor sight e.g. bumping into objects and an inability to judge distances. As an hereditary condition, cataracts must be prevented during the breeding process. Fortunately, this isn’t too hard to accomplish. All that needs to be done is to ensure that two carriers of the “cataracts gene” are not bred together. A simple DNA test can be done by a laboratory to test for the gene with a 99% reliability rate. The kennel club runs a testing scheme that allows you to view the test results of registered members to make sure breeders can select the right mate for their dog. 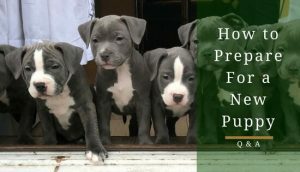 PHPV is another eye condition that can be passed from parent dogs down to their puppies. It seems that Staffordshire bull terriers are predisposed to the condition. Luckily, it is not progressive, so it will not get worse throughout the course of your dog’s life. However, it can present a lot of discomfort to your dog depending on the severity of the case. Symptoms can be hard to spot, particularly in puppies. Impaired vision is the key symptom so bumping into objects, poor distance judging etc. would be an indicator of a problem. After a puppy reaches 4 weeks old, a veterinary screening can diagnose PHPV. 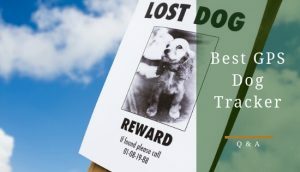 Treatment is then decided upon based on how sever the condition is; in less severe cases, dogs can live as normal since it will not get any worse. As of now, there is no clear indicator on what it is that causes the condition to be passed on to a puppy. Research is currently on going. Any good breeder should have the litter screened for PHPV at around 6 weeks old so it can be cured if necessary. Follicular dysplasia is a type alopecia that arises from an abnormality in the structure of a dog’s hair follicles. At present, all forms of follicular dysplasia are thought to be hereditary. For the most part, the condition is an aesthetic one; it doesn’t cause the dog any discomfort. It would only present problems for the dog if the lack of hair on an area leads to infections or sun-burn. Staffies seem to be more commonly affected by what is known as cyclic follicular dysplasia or seasonal dysplasia. This is exactly as it sounds; for periods of the year, hair thinning is noticeable. Cyclic dysplasia tends to begin around early spring time and usually leads to a thinning of hair along the dog’s flanks. The hair usually regrows in around 6 months but melatonin treatment has been observed to accelerate regrowth. As another hereditary condition, it is down to the breeder to make sure they undertake appropriate DNA testing before breeding their pups. Some owner’s swear by the use of melatonin for managing the symptoms but there is little scientific evidence to back up the claims. L-2HGA is a neurometabolic disorder that affects the nervous system of the dog. Much like cataracts, the gene responsible for the condition needs to be present in both parents during breeding. The disease can cause tremors, seizures and muscle stiffness during exercise or behaviours that cause excitement and stimulation. The symptoms described above usually present themselves between the age of 6 months to 1 year but can appear later. Again, the prevention of this condition comes down to DNA testing prior to breeding. Breeders must make sure both male and female parents are tested and clear before breeding them together. If you suspect your dog may have inherited L-2HGA, a simple DNA cheek-swab test can be ordered to confirm. Once confirmed, you can then take the necessary measures to give your dog the highest quality of life possible. Please click the following link for a whole bunch of excellent information on L-2HGA. As you can tell, the prevalence of most of these conditions can be dramatically reduced through proper DNA testing prior to breeding. The Kennel Club has a wealth of information surrounding DNA testing schemes for breeders so you can start there. 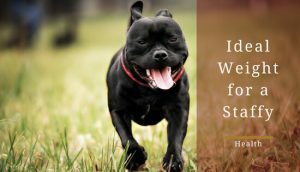 For Staffordshire bull terriers, it is highly recommended you test the parent’s hip score and undertake DNA tests for all the conditions mentioned in this article. Litter screening should also be done to test for PHPV at around 6 weeks old. I have kept staffies for 25 years, everyone has had inner ear problems, any advice to prevent this would be appreciated thanks. He went from constantly itching deep inside his ears to barely touching them at all. 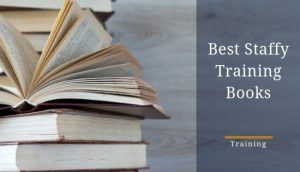 Sorry, I couldn’t offer more advice but I hope this is helpful.